The DAD Album is a blank canvas waiting to be transformed into a beautiful work of art! 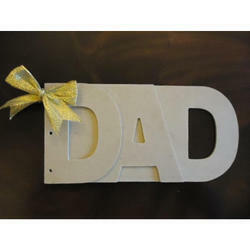 Made with 3 separate pieces of finely sealed & sanded pine based MDF, the DAD Album decorated with photographs and embellishments will be a gift for the first man in your life to treasure! 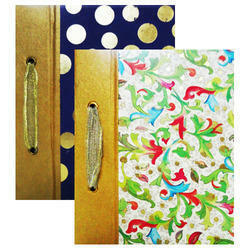 Handmade paper photo album with POP design on top cover is ideal to arrange valuable pictures in style. Being a foremost organization in this industry, we are actively engaged in offering the finest quality range of Leather Photo Album. these are made of handmade paper of required thickness and strength. With a hard outer bounding these photo albums will keep your memories as fresh as ever. Special care has been taken for the albums so that the photographs remain in their original self for a lifetime. Different designs and sizes are available and can also be made to suit your needs. We are a remarkable entity in this domain, engaged in offering a stunning array of Photo Album. - Commonly used in photography. is a term from Scottish literature for a poet or bard, often thought of as a royal court poet. - Wonderful 3D depth illusion. - Gives your pictures a floating effect.